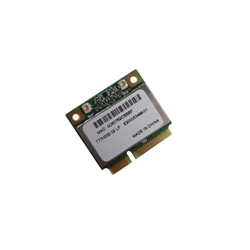 Description: New genuine Acer wireless card. Part #'s: NI.23600.048, Atheros AR5BHB63, T77H032, 250-01562-060, 800382, PPD-AR5BHB63, 4104A-AR5BHB63. Acer Aspire One D250, KAV60, 531h, 751h, P531f, P531h.